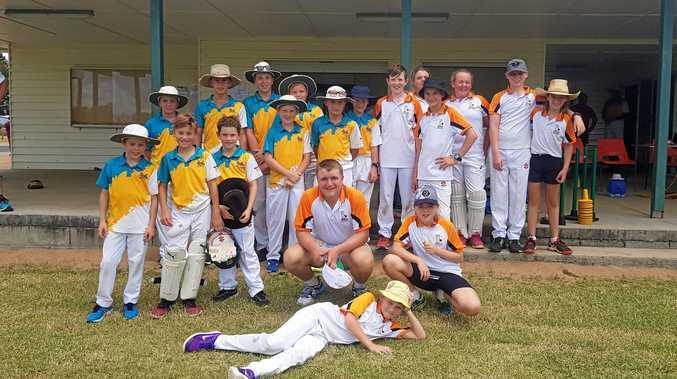 GAYNDAH'S junior cricketers are savouring a hard-fought victory after outplaying Mundubbera on Saturday to win by 50 runs and wrap up the series 3-0 with two to play. Gayndah won the toss and elected to bat at Gayndah Sportsground and after their 25 overs had pushed the score along to 7-118, which represents a steep total to chase in junior cricket. James Robertson was the rock around which the innings was constructed, as he crafted a watchful 30 not out. Robertson built up partnerships with Jack Huth, who scored 20, and Archie Webster, who played patiently for 7 not out. Piper Eastcott was the pick of the Mundubbera bowling attack, picking up 3 for 7 off her three overs. Mum Shannon Eastcott said Piper has slowed down her bowling to work on her consistency, but her fast yorker is her "greatest asset” and gets her the most wickets. "I'm glad I'm not facing her balls, put it that way,” Mrs Eastcott said. Facing an imposing total, Mundubbera battled gamely but were ultimately bowled out for 68. They were led strongly by Connor Maeyke, fresh from his heroics at the Mundubbera 7-a-side carnival where his team Ball Smashers won the Saucer, who scored 30 runs and seemed at times as though he would haul his team to the victory target, but once he was dismissed Gayndah's bowlers turned lethal. Maeyke was well supported by Catelyn Wagner, who finished undefeated on 9 runs. The bowling attack was led by Riley Davina, who was throwing hand grenades and finished with the astonishing figures of 4 for 5 off two overs. Junior cricket competitions like these are important, he said, to help "develop cricketing brains”. Mr Webster says he is working hard at instilling a solid defensive technique in Archie. "I'm trying to teach him to build an innings and runs will flow from there,” he said. The Big Bash League domestic T20 cricket competition teaches young players to go out and "have a tonk”, according to Mr Webster, which he is trying to combat. Gayndah's strong showing in juniors is an inversion of their performance in seniors, where Mundubbera are up 3-0 with two games to play. Two games remain in the junior season as well. 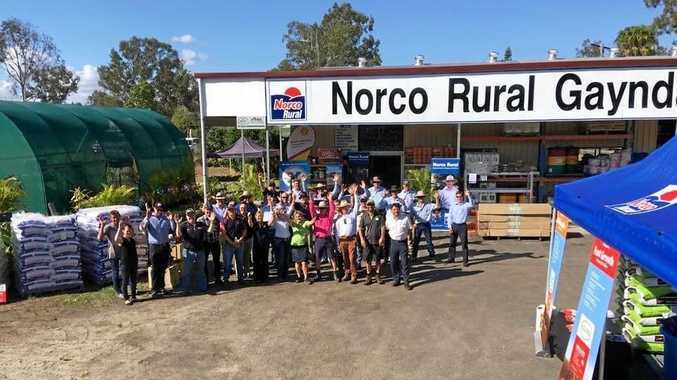 On Saturday, February 23, teams will play in Mundubbera, followed by a game in Gayndah on Saturday, March 9. The junior matches involve a 'First' team, usually of nine players, a 'Second' team and also a 'Tiny Tots' fun cricket program.